Technology has become an integral part of nearly every business, creating a growing demand for IT professionals. And a successful career in information technology requires not just technical know-how, but also the flexibility to adapt to a rapidly evolving industry. By honing key skills and facing new challenges head on, IT professionals will stay ahead of the curve and ensure career longevity. That means you must develop a broad skill set—like the ability to work across multiple platforms, operating systems, or devices—to establish yourself as a catalyst for the company’s long-term goals. Take classes and pursue certifications in a variety of areas rather than limiting yourself to your current area of expertise. In today’s social media-savvy culture, where client feedback can make or break a brand, client satisfaction is a vital barometer of success. So when working on a project, look beyond functionality and consider the experience of the end user, whether it’s a co-worker or a customer. Measure satisfaction by allowing users to grade the IT services they’re receiving—that way, you can pinpoint exactly where you need to improve. If you improve workflow for your fellow employees, or offer consumers a seamless experience that strengthens the company’s brand, your services will likely be a critical part of the company’s future plans. At the end of the day, a positive user experience will reinforce the value of your IT department’s services. It’s easier to teach programming than people skills, and the latter—like communication, conflict resolution, and critical thinking—are vital because they can’t be replaced by artificial intelligence or virtual assistants. “Historically it has been OK to ‘just’ stay within the boundaries of IT without understanding how your work impacts the business,” Chaplin says. “But now there’s a realization that IT has to get involved in these larger strategy discussions, and to understand the larger mission and purpose. 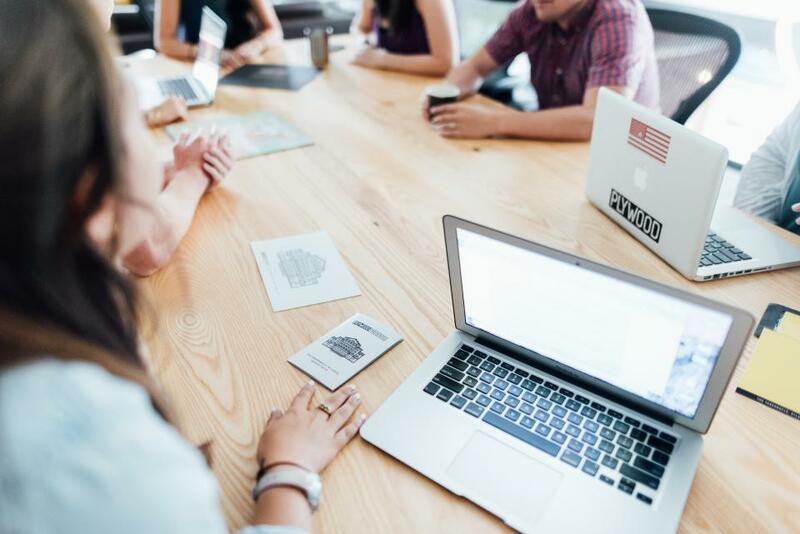 It’s become less of an us-versus-them mentality and more of a partnership with business and IT leadership.” That’s why many employers emphasize soft skills when evaluating potential candidates. In fact, a CareerBuilder survey found that 76 percent of information technology employers say soft skills are just as important as technical skills—and 16 percent say they’re even more important. To develop these critical soft skills, start by reading books like Stephen Covey’s Seven Habits of Highly Effective People, setting tangible goals, and—most of all—being willing to change. Emerging trends like artificial intelligence, cloud security, and wearable technology are constantly reshaping the industry. IT professionals need to stay informed and consider what role these trends will play in their company’s long-term vision. As technology progresses, adopt a proactive approach: Research the latest innovations and brainstorm ways to implement them within your company. Formal education is a good jumping-off point, but professional development is an ongoing commitment to learning. Rather than hinging your career on a narrow skill set, be flexible and show you can adapt to new information and evolving technology.